Now let’s catch up: I’m back in the swing of things at home after all of my whirlwind travel, but this weekend is chock full of activity. On tap? I’m teaching the brand new Les Mills BODYPUMP 99 release in class on Saturday morning with another instructor. Then from there, I’m off to a two-day fitness instructor training for a new format. I wouldn’t really say that I have extra time to learn a new program, but this one is calling to me, and I can’t say no. Of course, I’ll give you the low-down on that new venture soon enough. Let’s jump right to favorites, and don’t miss the healthy and tasty giveaway! You know how everyone has been obsessed with juice for a while, well, what about soup? Not as trendy, right? 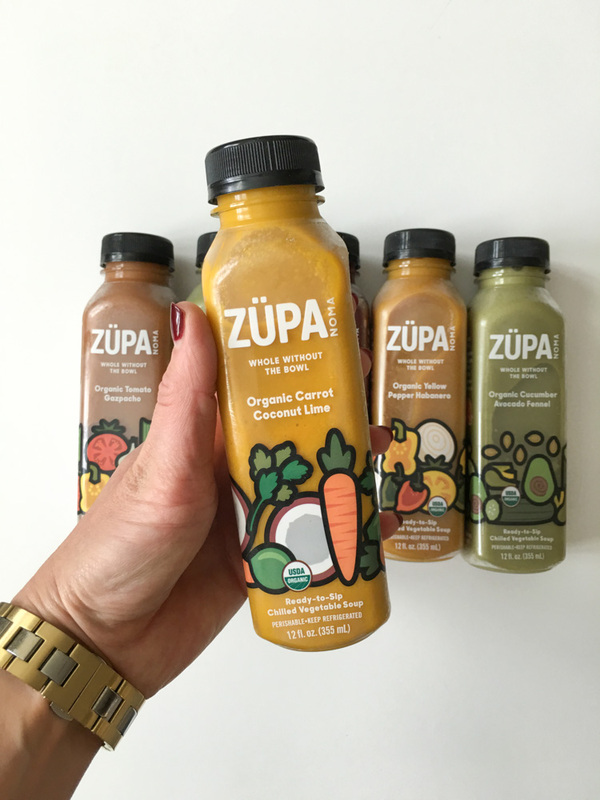 Yet, recently the folks at ZUPA NOMA offered to send me a sample pack of their brand new cold, ready-to-sip soups, and even though I wasn’t all that excited about the delivery, boy was I wrong with this one. I was instantly hooked when I took my first sip. It’s totally not like juice – it’s thicker and chunkier and feels more like a smoothie. Thus the texture is super inviting and the flavors are as well. Some are quite spicy, but you can check the spice factor on the handy label before drinking in case you’re sensitive to heat. The flavors include: Organic Yellow Pepper Habanero, Organic Tomatillo Jalapeño, Organic Carrot Coconut Lime, Organic Beet Orange Basil, Organic Cucumber Avocado Fennel and Organic Tomato Gazpacho. Such variety! My personal favorite? Organic Carrot Coconut Lime. And the nutritional facts are fabulous – organic, low-glycemic, full of veggies, gluten free, non-GMO, no sugar added – real and whole ingredients. The 12-ounce bottles run from about 70 calories to 150 total, with all of them being quite filling. For some reason, I feel so healthy and energized when drinking these ZUPAs. I really do. For some background on the company: ZUPA was just launched in June 2016 and is based in Sonoma, California (the NOMA part, I guess) – in wine country just a hop, skip and a jump away from me in Walnut Creek. I was such a fan, that I wanted some of you to have a chance to try ZUPA NOMA. One lucky winner (who must reside in the U.S.) will receive two bottles of each of the flavors, for a total of 12 bottles of goodness. 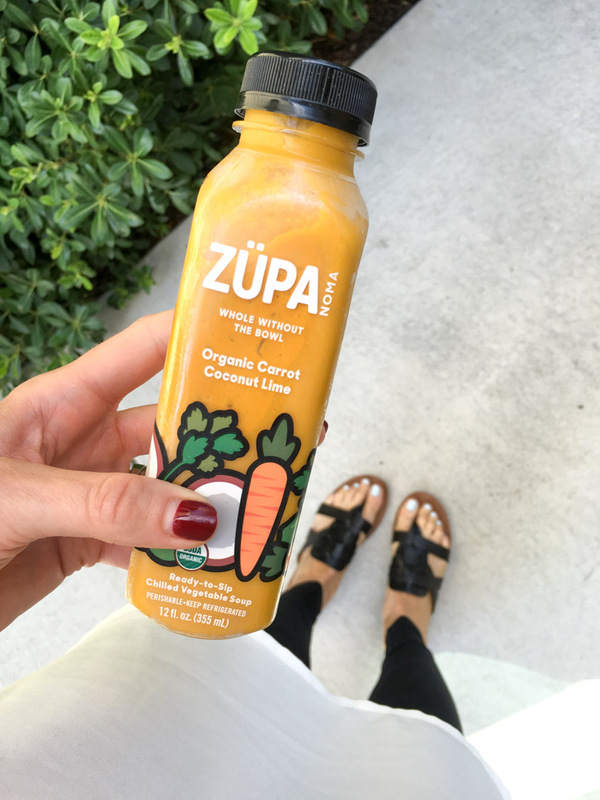 If you want to find ZUPA NOMA for yourself, the bottles are $7 each and are available at Sprouts, individual retailers and online. Directions for the giveaway are below, so don’t miss your chance to try! 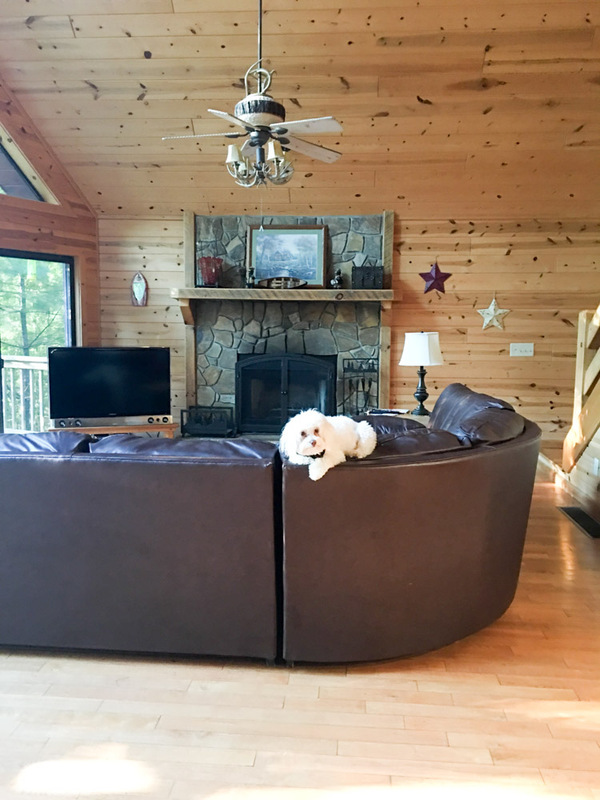 Two weeks ago I spent five days and four nights with my family in Blue Ridge, Georgia at a cabin in the woods. 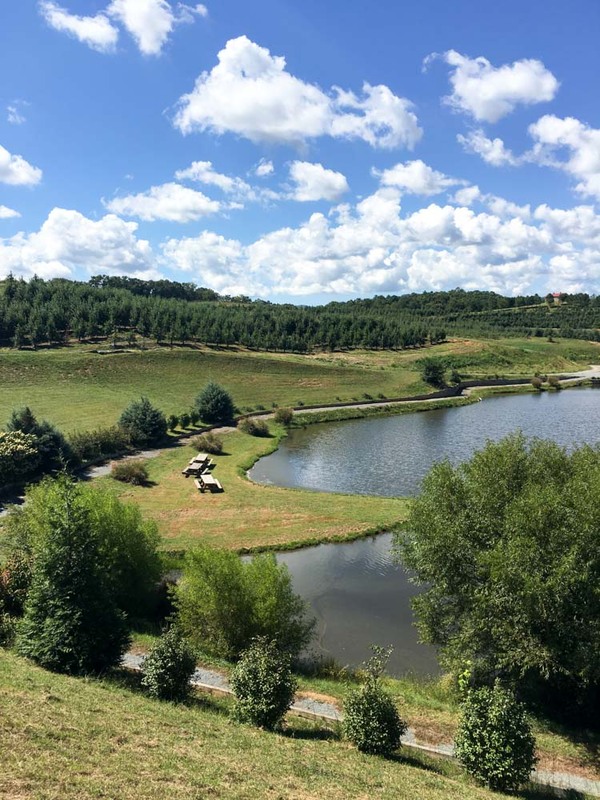 This was our second time meeting in Blue Ridge for a family vacation, and it’s a perfect destination for relaxing and spending quality time together. Being with my parents, brother, his girlfriend, Dave and all of our collective dogs makes me infinitely happy. My brother, his girlfriend Stephanie, and their two dogs were all kind enough to host Dave, me and Rudy at their house the first night when we flew in from California. And my parents drove up from Southwest Florida so we could all converge in Blue Ridge on a Thursday, and we stayed through Monday morning. While this trip is a major fave, I didn’t take a ton of pictures and was mostly unplugged for the duration, thus the short recap. 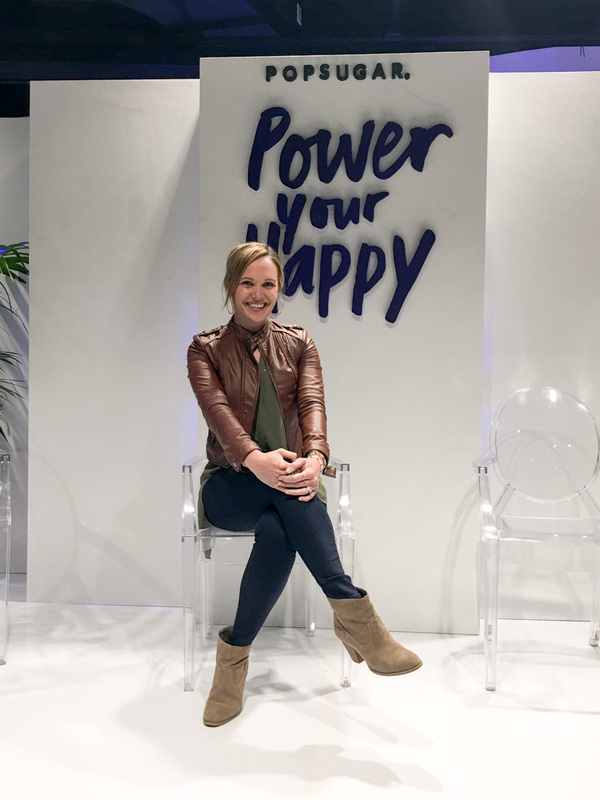 Last Thursday night, I headed into the City for a POPSUGAR gathering held at Bespoke at the Westfield Center Mall. I didn’t even know the event space existed on the fourth floor of the mall, and it was pretty cool. 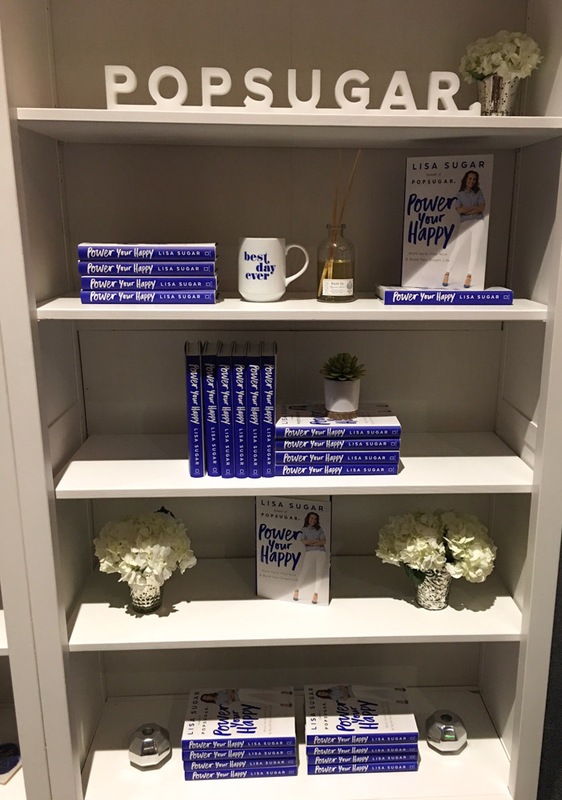 I arrived just in time to see the line out the door of well-dressed San Francisco women (and a couple men) waiting to get into the book party for POPSUGAR’s founder, Lisa Sugar. There was also a panel of women experts who gave us more insight into how they got where they are. Overall, I left that event feeling really empowered. I think I smiled my entire BART ride home back to the East Bay. Thanks for the invite, POPSUGAR! Did you miss the latest on A Lady Goes West? Have a wonderful day and weekend! 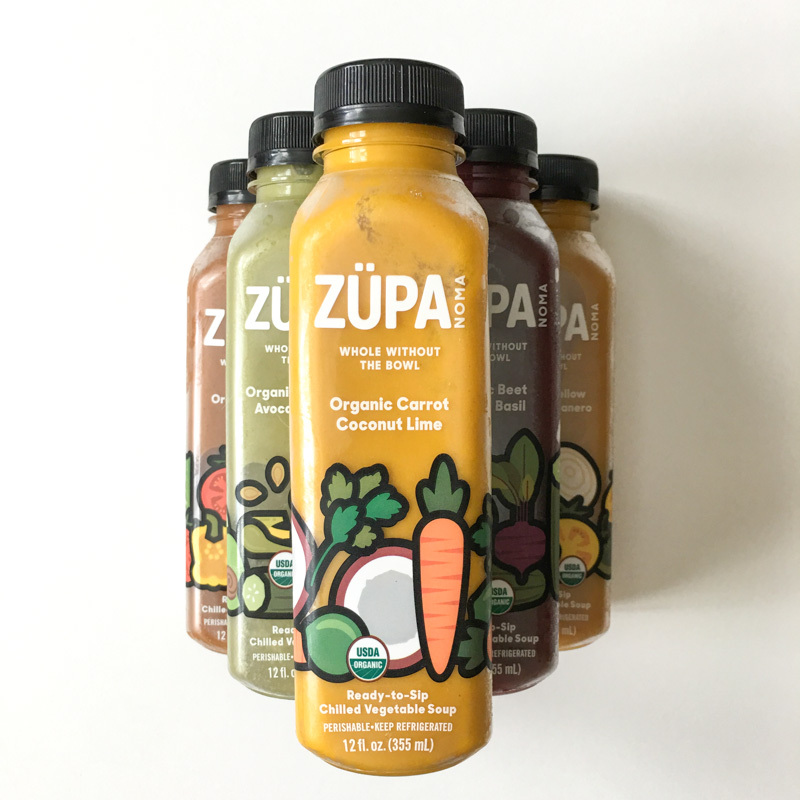 The prize: Two variety packs of ZUPA NOMA ready-to-sip soup in a bottle, 12 total. Rules: This giveaway is open only to those who live in the U.S. I will randomly select a winner from the comments on Thursday, October 14. To enter, all you have to do is leave a comment on this post. You can enter a separate comment for each of the following actions, and each comment is an extra chance to win. If you don’t see the comment field, then click on the headline of this post to bring it up on the bottom of the screen. Leave a comment if you follow A Lady Goes West on Instagram. Leave a comment if you follow A Lady Goes West on Facebook. Leave a comment if you follow ZUPA NOMA on Instagram. Leave a comment if you Tweeted about the giveaway (Tweet below). Leave a comment telling me something good about your life! *There are affiliate links in this post. Thanks for your support! While I was given free ZUPA product, this giveaway is not sponsored. What’s something good that happened in your week? Want to win? Leave your comment below! Get a free "How to have a great week of workouts" checklist and action plan when you sign up for the list. And you'll get new posts by email. 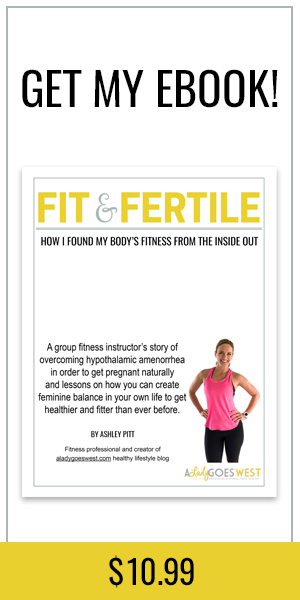 I'm a writer, trainer, group fitness instructor, new mom and foodie, and A Lady Goes West is where I share my healthy lifestyle, simple meals, fitness tips and experiences living in the San Francisco Bay Area. Bloglovin', Twitter, Instagram, Pinterest & Facebook. I have never tried a soup like that. But I love the idea and would love to try them. What an easy way to pack a quick and easy snack or lunch. Your getaway to Georgia sounds so nice, I love spending some time unplugged every so often. My parents are coming in town this weekend so I’m excited to have them around and eat some good food of course 😉 Have a great weekend Ashley! I am counting down the days until BodyPump 99 releases at my gym! These soups look perfect for fall! These soups look de-lish and I’d love to try them. 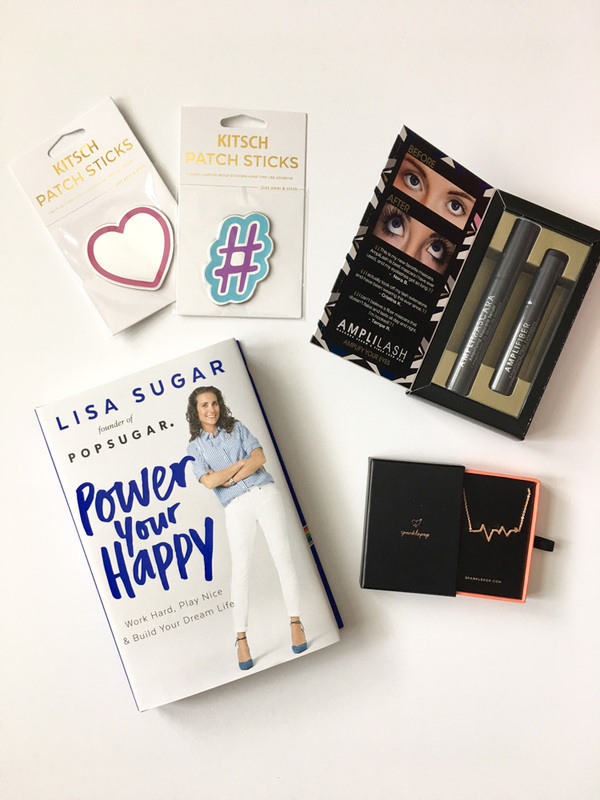 Thanks for continuing to share your favorite new products, Ashley! Thank you for reading, Jen! 🙂 Have a fab day and weekend! my new job and supportive family. Those are two AWESOME things, Victoria! 🙂 Thanks for saying hi! 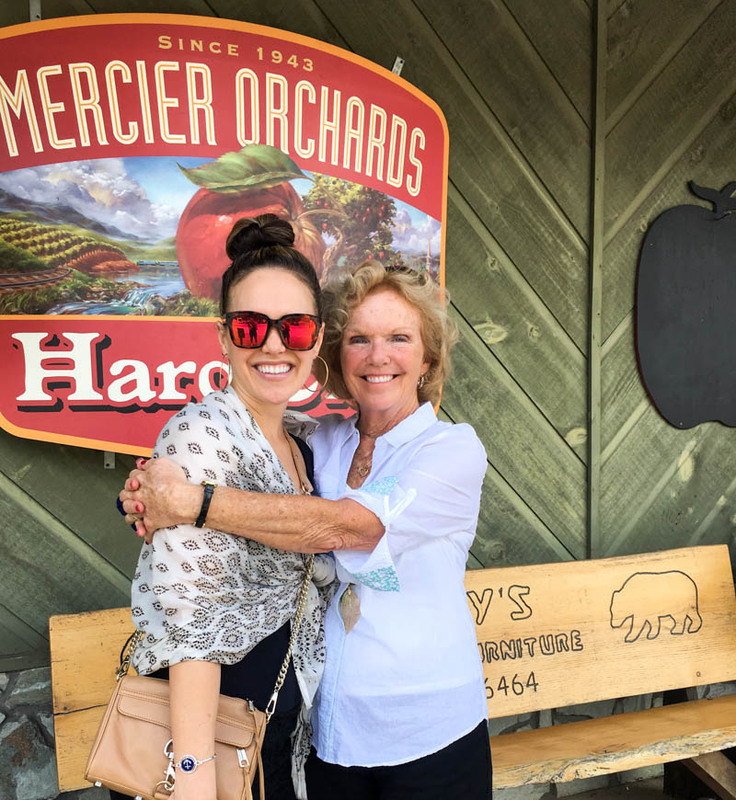 Whomp whomp, wish I could enter the giveaway , though I think I’d warm my soup up..lol…Your vacation looked amazing…there is nothing like a nice getaway to catch up with family!!! Hope you have a great weekend, it’s our Thanksgiving up here so stretchy pants all weekend long 🙂 Have a great one! I follow you on Instagram and Facebook! 🙂 And your vacation sounds absolutely wonderful with face hurting laughter, no make up, and sweats. That would be such a relaxing time. 🙂 Isn’t family amazing? Emily recently posted…Apple White Chocolate Caramel Bars + A Giveaway Announcement! Yes, Emily! We all need more family time, right?? 🙂 Hope your week has been going well, friend!! That soup sounds DELICIOUS! I’d love to try it! I’m a vegetarian, and always on the go between my full time nonprofit job, teaching group fitness and training for triathlons, and would love to be able to drink soup on my commute. Thanks for sharing! Thanks so much for hosting the giveaway! I’m not a huge soup fan, but I think I’d actually like a cold, bottled version. Would love to try it! The best part of my week hasn’t happened yet, but it still counts, right?! Right! This weekend my husband and I are going on a staycation to celebrate my birthday on Oct. 10, complete with a 4 star hotel and dinner reservations at a place I’ve been wanting to try on Saturday and a Steelers game on Sunday. Whoo hoo! It’ll be our first night away from our 9-month old…#mixedemotions. Hi Amanda! Happy early birthday to you, lady! What a nice weekend you have planned. I hope it goes AWESOME!! Happy Friday! Family time is the best!! It really helps you realize what’s important since we can get so focused on work, chores and everyday responsibilities! The soup looks delicious and so convenient! It definitely does! Thanks for saying hi, Jessie! Have a great day. I follow ZupaNoma on Insta! Thanks, Charlotte! 🙂 Happy Friday! That sounds like an amazing vacation! I love being unplugged :). Me too, Jessie! I think we should all be unplugged more often. 🙂 Have a nice weekend! I am loving the fall weather. Me too! I’m ready for the change! Good in my life is that I was able to go home last weekend to celebrate Rosh Hashanah – the Jewish New Year. And cooked up a feast for 50 people to celebrate! Also—super fun to hear about your family getaway in Georgia—sounded amazing! Amy! YES, family is so important! Love to hear this! 🙂 Have a nice weekend! Something good about my life – Hurricane Matthew just skirted right past us and we avoided a direct impact of a category 4 hurricane! My family is safe and sound and blessed! That is awesome news — I’m so glad to hear it, Renata! I also follow Zupa Noma on Instagram. I also follow you on Instagram as well. Thank you so much as these look delicious! Your vacation with your family sounds perfect. I love having everyone under one roof, being off the grid, and doing huge puzzles. And thanks for introducing us to these healthy juice/smoothies! Me too!! Hope you are well, Jenna! Thanks for saying hi! The soup sounds amazing! I love family time too! Me too! Thank you, Kalena! something good- i found my wedding dress yesterday! Right now something good is that my dogs and I are cuddled up together hanging out. I follow Zupa Noma on Instagram. We have a family full of love and we are all healthy too so I am very thankful for that. A good thing about my life… I’m just getting over an unexpected health issue, and everything is looking UP! Might be cliche, but gotta love my family at the moment! I feel like I’ve underappreciated them in the past, but now noticing all the little things. So grateful for their support. Thanks for the giveaway! Oh my gosh, Jess — that is so awesome to hear. I LOVE it, in fact. Have you told them lately?? heheh!! Hope you had a nice weekend! Neat concept; I would love to try these. Right now, I am feeling the zen and energy after a great yoga workout! I LOVE that post-yoga feeling! Thanks for sharing that, Calli. Have an awesome night! I follow A Lady Goes West on Facebook. Something good about my life? I have the best friends and family. When I started expressing gratitude I saw amazing things begin to happen. Oh my gosh, that’s so cool. Perhaps we all need to be a little more grateful! 🙂 Have a good day, Annette! Something good in my life: I get to live out my dream as a Marine officer every day! How good does it feel to have a great relationship? LOVE that, Danielle! Thank you for sharing that! I am very grateful that I have a career job to support my wife, daughter and family cat too. That’s a wonderful thing to be thankful for, Raymond. Have a great day! Something good about my life? I have some pretty cool and fun side jobs, and my full-time job just offered a new opportunity to help continue the physical activity and nutrition initiatives we’ve put in place with our 3-year grant that just ended. So happy to see some lasting changes! Wow!! You are making a big impact, Jordan! I love to hear that!! I follow Zupa Noma on instagram, too! I follow Zupa on Instagram! 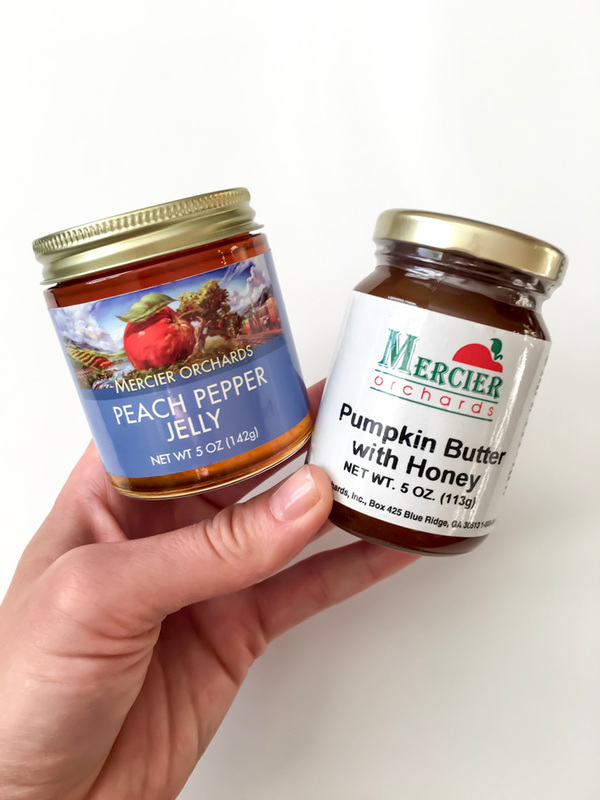 I tried these at Expo East and I LOVE them! I can’t wait to see them in my local super markets! So cool! Hope I can go next year! follow A Lady Goes West on Facebook. I would like to win. Something good about my life is that we made it through Hurricane Matthew and our power was only out for 24 hours. Two days of no power isn’t fun, but at least it wasn’t worse! Glad you are okay, Amy! Also, I follow you on Instagram. And follow you on Facebook. Sure would! Soups make it easy! 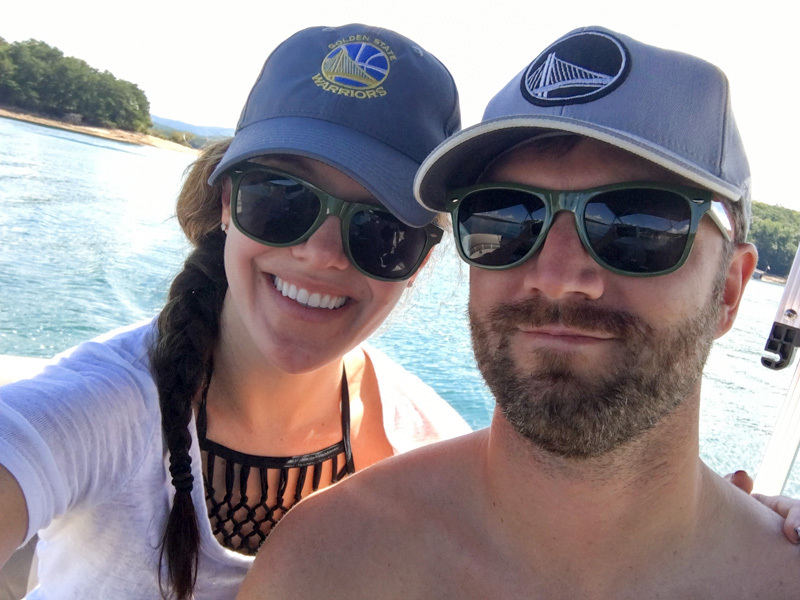 Oh my gosh– congrats!! That’s amazing news!! Ahhh, Ive never heard if the soups before. How convenient. My life gets crazy busy with work and college, if there’s a way I can make at least one meal simpler – I’m down for trying it! Agreed, Hannah! Sometimes you just need a little help getting extra veggies in the day and these soups do that. I just followed you on Instagram! Andddd lastly, I just tweeted about the giveaway. So exicted! Whoops!! Misspelled your name!! Lindsey!! I follow on facebook! Username April Scott. Something good about my life…I have 3 happy, healthy, awesome boys! That’s a lot to be thankful for, April! Yes, I feel very blessed. Great giveaway! I follow you on instagrm ! There are so many good things in my life right now. My health is better and I have found a group of ladies that do volunteer work to help children in the hospital and that have had to be removed from a hostile situation. It is so gratifying to know you are making a difference where it counts. I’ve never tried soups like this, but they look super convenient and like they have tasty flavors! What a fantastic idea these are and would be so convenient to take to work with me. Thanks for the chance to win them! They are super convenient! Thanks! One of the many good things in my life is the fact that at age 52 I still have my dad who is almost 94 and in relatively good health. Wow!! Good for him!! That’s great to hear, LynneMarie! This has been a great week! We missed a direct hit from the hurricane and were only without power for 24 hours! Yay! Sounds like you had a fabulous family vacation! I’d love to try Zupa Noma! It sounds fabulous! Something good in our lives? It’s great that we will we welcoming a new bundle of joy into our family before the end of the year! It’s my husbands birthday in two days so that should be fun. My hubby’s birthday is this weekend too!! Yay!! Have fun! These soups look awesome, really unique! I have 4 Beautiful Grandchildren! That soup sounds YUMMY! Glad I came across this blog. I tweeted <3 Thanks for the chance to win! What an interesting product, thanks for the chance to win. Something good is my amazing dog! She is so sweet and loves to cuddle she also loves hiking with my! Oh sweet! What kind of dog? I have a maltipoo! I followed you on facebook (Amanda Patterson)!! I’m so excited for soup season! With some additional protein, for sure!! I follow A Lady Goes West on Instagram. I follow you on twitter, instagram, Facebook and subscribe! These sound super delicious. I want to try them! Something good in my life recently is my dog. She is my best friend and we love going on walks to see the Fall leaves. I LOVE that! I love my dog too! 🙂 Thanks for sharing, Deanna! I follow A Lady Goes West on Instagram as deannalw47. I like A Lady Goes West on Facebook as deanna lynn. i just got married! to a wonderful man! The things that are good in my life are my husband and daughter. They both make me so happy! My children and my grandchildren make me very happy. They are good for me. That’s wonderful, Carol! 🙂 I love to hear that! My job is good and my wife and daughter make me happy. Sign me up to receive posts by email and other news from A Lady Goes West!